Hello my beautiful friends, I hope you are all enjoying this beautiful fall weather. I know I am. I was out running errands yesterday with the kids, and it was pouring, but we all had rain boots and raincoats on, and I felt like a kid! We went stomping in the puddles! 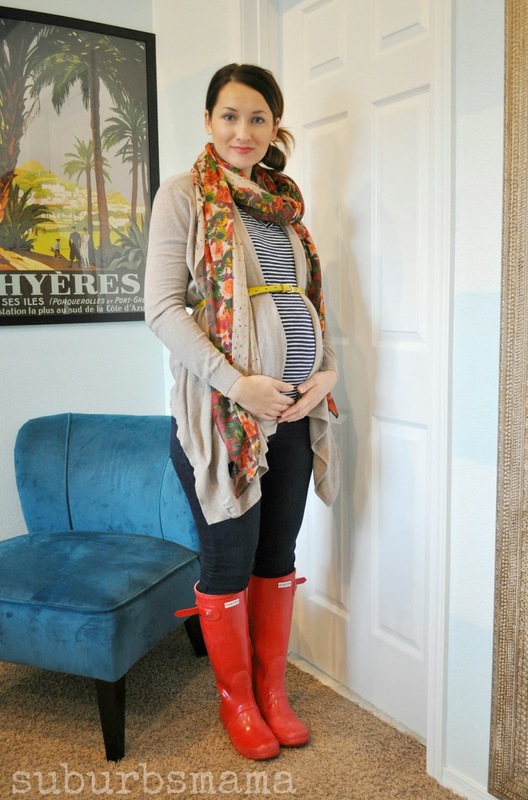 Here are a few outfit from the past 2 weeks, I am 22-23 pregnant in these pictures. Now it is your turn to give me some inspiration! Link up your Outfit and style posts. Love how you wore the navy blazer with the Philip Lim Leopard dress. Now you're making me consider getting the dress...if it's still available. Looking lovely as usual. And I really love your home decor. Wish You could come do my home over. Have you considered doing home makeovers in a small kind of way? I know you are devoted to staying home with the kids but just a thought. Love all the outfits! 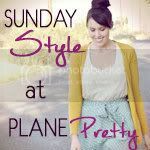 My favorite is the last one - great pattern mixing and layering! Hi Rita, love the first outfit. You look lovely! Thank you so much! You're probably the cutest pregnant lady I've ever seen!! I started reading your blog a year or so ago, but have been super swamped with getting married, starting a new job, etc and haven't checked back in a while. Oh my gosh, girl you are SO CUTE pregnant! Your style rocks!